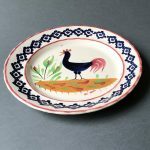 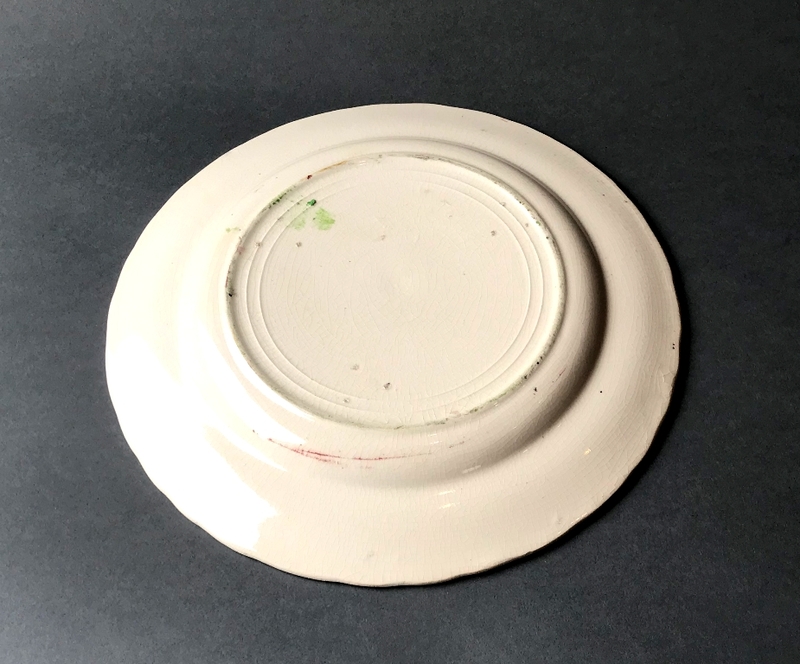 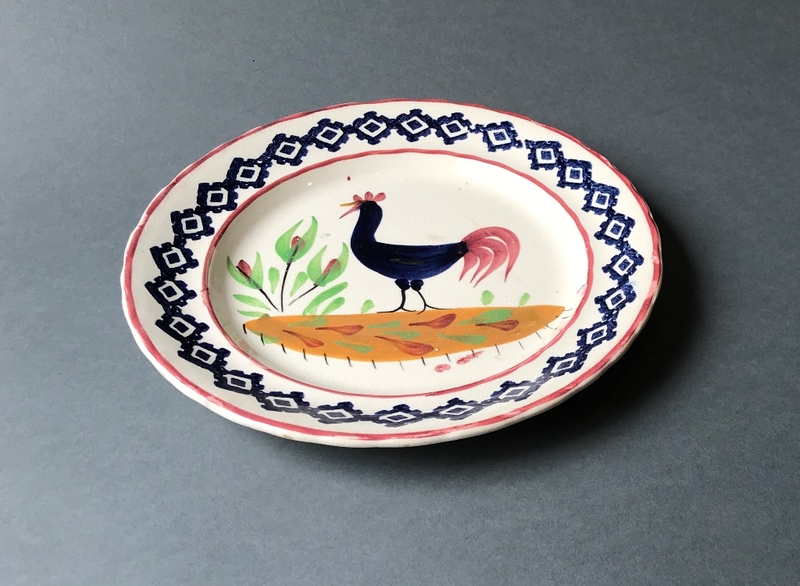 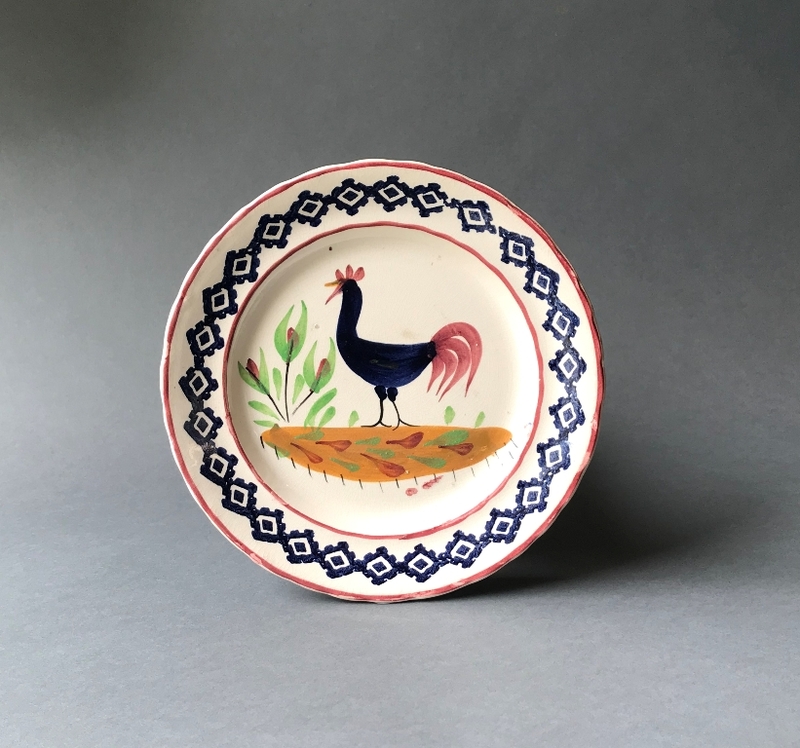 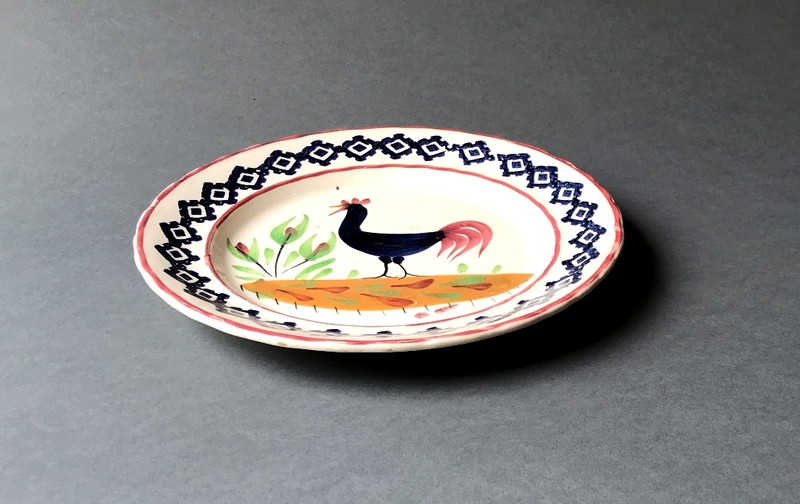 A hand painted and sponge decorated cockerel plate made at the South Wales Pottery in Llanelly. 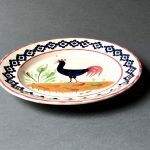 Probably painted by Sarah Roberts. 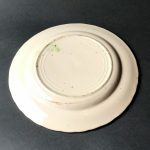 A good example and in bright clean condition.